Date & Time: Friday May 24th, speakers at 10 & 11 a.m. Location: auditorium of the Snow College Huntsman Library, 150 E. College Ave. The Scandinavian Festival Heritage Conference gives participants an opportunity to learn about Scandinavian, pioneer, and historical influences in Ephraim and the Sanpete Valley. The presentations are particularly interesting for those with Scandinavian or other pioneer ancestors. This year the conference features presentations focusing on the Ephraim Co-Op and Relief Society Granary, two of the most significant historical buildings in Ephraim. Learning about the history of the people, purpose, events, and restoration of these buildings is a great way to kick of the beginning of our festival! 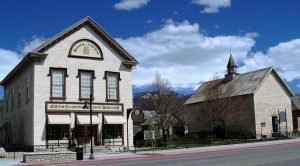 Rhonda Lauritzen, a professional biographer, will tell the story of Ephraim’s Relief Society Granary at 10 a.m. —and at 11 a.m. Sandra Lanier & Kathleen Peterson, longtime Ephraim & Sanpete residents and local historical advocates, will talk about the history and restoration efforts of the Ephraim Co-Op building. 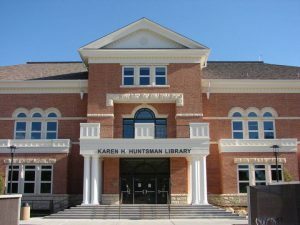 The conference will be held on the campus of Snow College in the Huntsman Library Auditorium. There is no charge and advance registration is not required. For more information, contact Mike Brenchley at mike@scandinavianfestival.org.